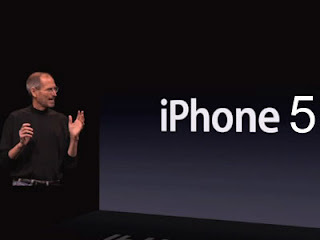 The much awaited Apple smartphone iPhone 5 is set to be released in September 21, according to a chinese source. The said news was first leaked in the French website "App4Phone" together with the specific date mentioned on my title and other rumor specs. The leaked information includes the replacement of its 30-pin dock port into a much smaller 19-pin dock, I think it will make older accessories obsolete for sure. Another revelations include the moving of headphone socket from top-left into the bottom-left of the phone, and the screen will be 3.75 inches. The new iPhone will have an even thinner screen. The unnamed chinese source who used to be the accessory manufacturer, claimed that he/she have been given the date directly from Apple. Meanwhile, the manufacturer will also be working on the smaller iPad version later in the year, according to reports. Comments or suggestions about "iPhone 5 to be released in September 21" is important to us, you may share it by using the comment box below.